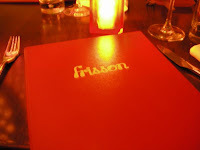 Frisson is an Ultra Chic and Over the top Place with Uber-trendy Decor and Designer Cocktails.. Coming from Philly, this place appeals to me as it is one of restaurant/lounge atmospheres that are totally reminiscent of the Stephen Starr restaurant dining experience.. Think Morimoto's, Washington Square and The Continentals. The food was New (American) and quite good, but the real star of the show for me just might be the Concept. Ultra-Modern Designer destination for the SAM (Stand And Model) crowd. 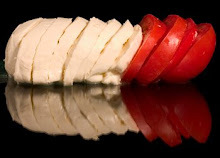 Great Happy Hour specials -> 5 Drinks + 5 Apps at $5 each from 5-7pm.